The world is online – just look around and you will see that everyone is online whether on their phones, tablets, smart watches or laptops. With everything being online today – it is even easy to get fit online. Yes, you read that right, online fitness is a trend that is growing by the day. To start with the basics, it is important to identify the online fitness option that works for you – whether it is an App, television channel or Youtube. As people are online all the time, YouTube is a platform that provides a plethora of information regarding various genres including fitness. For beginners, the initial stage would be to explore different channels on fitness according to their suitability in terms of their fitness goals. It is important to check in credibility in terms of the channel and the creator to ensure that the outcome or the results are beneficiary. “You can do this by gauging through the ‘About Us’ section and the best way to get a sense about the channel is to scan the comments section and see what others are talking about. Secondly, since YouTube provides accessibility to abundance of content, we’ve made playlists on the channel. Each playlist is for a different fitness goal (weight loss, muscle building, strength) Even if you’re an absolute beginner, you can go to the YouTube channel and start learning about the topic you want. The direct message option on every channel gives the users a chance to put forward their personal requests and queries and we directly respond to answer so that the users get a personalised touch,” says Ranveer Allahbadia, Founder, Beer Biceps, India’s biggest English fitness channel. A key question that arises as far as online fitness classes are concerned is the efficacy of them in helping people achieve their fitness goals. “We receive hundreds of emails, and thousands of comments on our social media platforms from people who have followed our videos and have achieved their fitness goals. They send us their ‘before’ and ‘after’ pictures as well to show their transformations,” avers Sunny. My Bollywood Body customises their workouts and has two toll free numbers and almost 35,000 people who are on their WhatsApp group broadcast messaging. If an online program available is not suitable, you could request for what you need and the team can design a customized diet and fitness program at a cost. To date the team has written over 7000 customized programs. Ranveer explains, “these are extremely effective! It is a very rewarding job because you can influence so many people’s lives at once. I get about 10-20 inboxes everyday with people saying thank you. Everyone appreciates the free of cost guidance. Something that I did not have access to while growing up and I believe fitness education should be free for all. 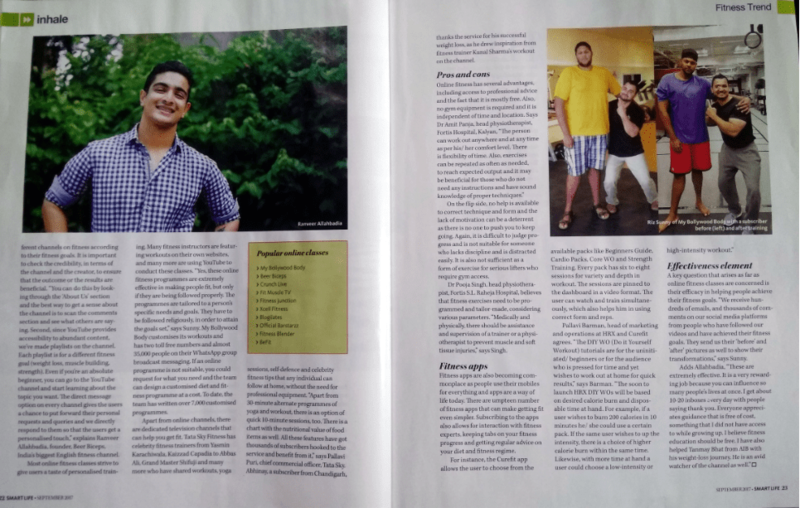 I have also helped Tanmay Bhat from AIB with his weight loss journey. He is an avid watcher of the channel as well.” However like with everything there are two sides to the coin. Dr. Pooja Singh, Head Physiotherapist, Fortis’ S.L. 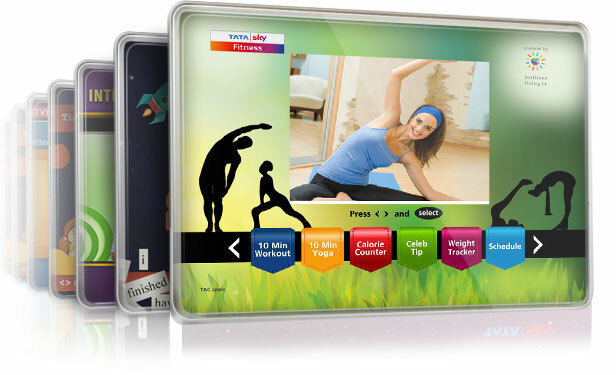 Raheja Hospital, has another take and says, “I used many online approach of training or maintaining fitness in people. But my personal opinion is that fitness exercises are always independently accessed for people, programmed and tailor made, considering various parameters. Medically and physically there should be assistance and supervision of a trainer or a physiotherapist to prevent muscle and soft tissue injuries.” So before you go online to get fit just make sure you take the right precautions. You will then see that it is easy for you to achieve your fitness goals and you can then take all the credit for the new you!